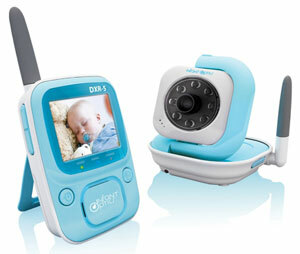 When it comes down to it, the most important feature of a good baby monitor is clear audio or video. So we've bypassed the extras, like humidity sensors, movement sensors and night vision, and found the best budget monitors. 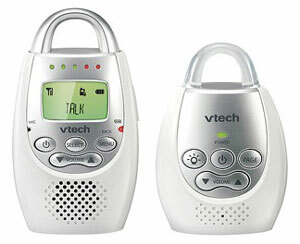 The VTech Communications Safe & Sound audio monitor provides crisp, clear audio from any room in the house–even the backyard, thanks to its DECT (Digital Enhanced Cordless Telecommunications) technology. If you have the volume turned down, lights and vibration will alert you when there's sound in baby's room. And when baby cries, you can talk back to her through the monitor. At this price point, you won't get a secure connection. So if you want to ensure your privacy, you'll want to step up to a secured wireless monitor. Comes with one parent unit. An easy 3-step set-up, a secure, DECT wireless connection and good-quality, color video make this video monitor the best video monitor for those on a budget. Unlike some other low-cost options, the Infant Optics DXR-5 has infrared night vision, so you can make the nursery as dark as you'd like. It’s also got a White Noise Eliminator, which eliminates white noise and static (you can turn this on and off). Mount it on a wall or use the vertical mounting stand (great from tilting down from a shelf in your nursery).